An Indian and a Retailer! 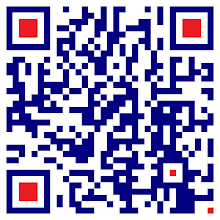 : Indian Retail - Point & Counter Point: Can interesting formats like this be viable? Indian Retail - Point & Counter Point: Can interesting formats like this be viable? Soda or carbonated drinks have been around for a long, long time and is often consumed under medical pretext. People tend to drink a carbonated drink to relieve flatulence although the CO2 in the drink does not really do anything to actually help! During an earlier stint with a leading soft drink brand, I have heard of some weird stories which include patients with fever being prescribed a orange carbonated drink which was very popular in the southern Tamil Nadu markets. Suffice to say that carbonated drinks have been and will continue to be popular. Although increasingly one does not see the ubiquitous “Goli Soda” which has an interesting looking bottle with a round glass marble inside. This which would seal the bottle’s top due to internal pressure. 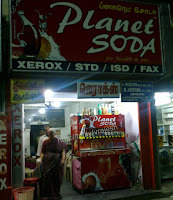 During a recent trip to Coimbatore I noticed this interesting outlet named “Planet Soda”. They have this very innovative soda making and dispensing machine as you can see in the picture. Each cup is sold for Rs. 10,/- and my guess is that the cost of that would be a maximum of Rs. 5/- after including electricity costs. This would give an approximate margin of 50% which is not bad assuming enough volumes are there to convert this into a respectable rupee earning. So, this is a great idea for an incremental offering for small stand alone shops as also larger stores, with some space to spare. This might even be a great idea for malls and larger chain stores. Stores can have such machines just outside their billing areas. Any excess or unused space which is customer facing can be used for this and the real estate can be monetized. 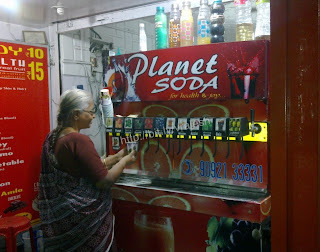 When I checked up on the penetration of this idea I found that apart from Planet Soda, which operates in the Coimbatore belt, another company in Ahmedabad - Geleriya Products - is quite active in this space and have a similar offering. As the actual technology involved is relatively simple, it might be just a matter of time before this takes off in a big way, if marketed and promoted well. CLICK Here to join the discussion and share your views on my page.